Moonstone Necklace, Rainbow Moonstone Necklace, Moonstone Pendant, Moonstone Jewelry, Oxidized Sterling Silver Necklace, "Dusk"
"Dusk." This magical moonstone necklace features a beautiful, AAAA grade rainbow moonstone teardrop, wrapped simply in polished oxidized sterling silver wire and hanging on an oxidized sterling silver link chain. The fire on this moonstone is a lovely rainbow of blue and aqua with a touch of gold. The dark shine of the oxidized silver shows of these colors wonderfully. Rainbow moonstone is the stone of love and wish fulfillment, and is also a birthstone for June. ☛ The pendant is just under an inch long including the wire wrapping and bail. ☛ Our normal necklace length is 17 inches, but please let us know your preference. ☛ You will receive the exact necklace pictured. ☛ All metal is oxidized sterling silver, including a lobster claw clasp. First Class domestic shipping is free: there is an option to upgrade to Priority during checkout. International orders may be subject to import duties or other local taxes and necessary payments, which are the responsibility of the buyer. Your local customs organization should be able to inform you of any such requirements. Moonstone Necklace, Rainbow Moonstone Necklace, Moonstone Pendant, Moonstone Jewelry, Oxidized Sterling Silver, CircesHouse, "Rainbow Shard"
Moonstone Necklace, Rainbow Moonstone Pendant, Moonstone Jewelry, Oxidized Sterling Silver, June Birthstone, CircesHouse, "Cirrus"
Moonstone Necklace, Rainbow Moonstone Pendant, Moonstone Jewelry, Oxidized Sterling Silver Necklace, CircesHouse, "Artemis"
Moonstone Necklace, Rainbow Moonstone Necklace, Moonstone Pendant, Moonstone Jewelry, Green Onyx, Oxidized Sterling Silver, "Woodmoon"
Moonstone Necklace, Rainbow Moonstone Necklace, Moonstone Pendant, Moonstone Jewelry, Sterling Silver Necklace, CircesHouse, "Aphrodite"
Rainbow Moonstone Necklace, Butterfly Necklace, Moonstone Jewelry, Oxidized Sterling Silver Necklace, CircesHouse, "Chrysalis"
Moonstone Necklace, Pearl Necklace, Rainbow Moonstone Necklace, Moonstone Pendant, Moonstone Jewelry, Sterling Silver, "Moonlight Mist"
Moonstone Necklace, Garnet Necklace, Rainbow Moonstone Necklace, Moonstone Pendant, Moonstone Jewelry, Sterling Silver, "Garnet Moon"
Absolutely delighted with this - I love everything about it! The shape, color, length & perfect size! Repeat customer. Seller is very accommodating to questions and shipping is exceptionally speedy. 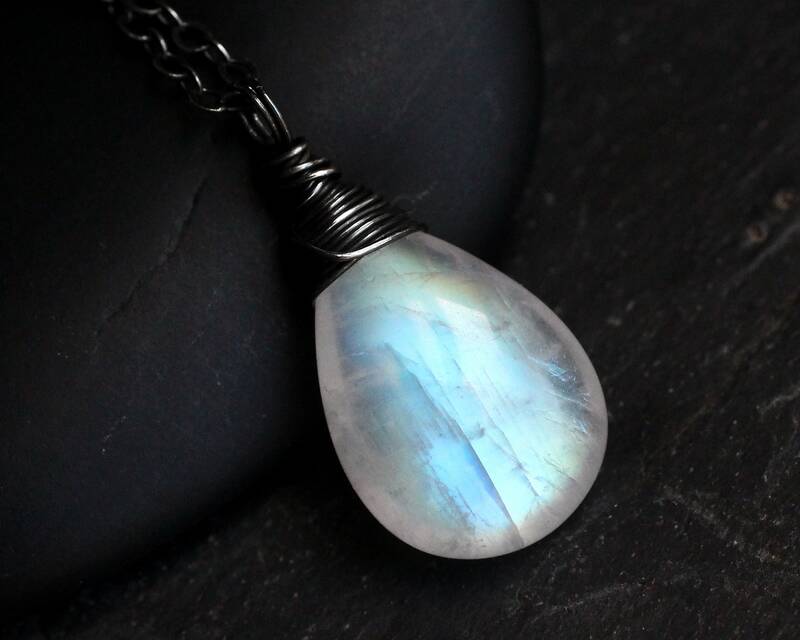 Moonstone Necklace, Rainbow Moonstone Necklace, Moonstone Pendant, Moonstone, Jewelry, Oxidized Sterling Silver Necklace, "Moonshine"
Absolutely gorgeous! Love it so much! Beautiful! Fast and secure shipping. Will definitely purchase from again. Moonstone Necklace, Rainbow Moonstone Necklace, Moonstone Jewelry, Moonstone Pendant, Oxidized Sterling Silver, CircesHouse, "Moonshine"
Moonstone Necklace, Rainbow Moonstone Necklace, Moonstone Pendant, Moonstone Jewelry, Sterling Silver Necklace, CircesHouse, "Luna"
Moonstone Necklace, Garnet Necklace, Rainbow Moonstone Pendant, Pearl Necklace, Moonstone Jewelry, Oxidized Sterling Silver, "Scarlet Moon"
Moonstone Necklace, Pearl Necklace, Rainbow Moonstone Necklace, Moonstone Jewelry, Moonstone Pendant, Sterling Silver Necklace, "Moonlight"
Moonstone Necklace, Rainbow Moonstone Necklace, Moonstone Jewelry, Moonstone Pendant, Sterling Silver Necklace, CircesHouse, "Indra"
Moonstone Necklace, Rainbow Moonstone Necklace, Moonstone Jewelry, Moonstone Pendant, Sterling Silver Necklace, "Twilight Sky"
Moonstone Necklace, Rainbow Moonstone Necklace, Moonstone Jewelry, Moonstone Pendant, Leaf, Lord of the Rings, Sterling Silver, "Mirkwood"
Moonstone Necklace, Labradorite Necklace, Rainbow Moonstone Pendant, Moonstone Jewelry, Sterling Silver Necklace, CircesHouse, "Storm"